The coloring page is separate from the information page with nothing printed on the back - so you can color without worrying about leaking through to another image. 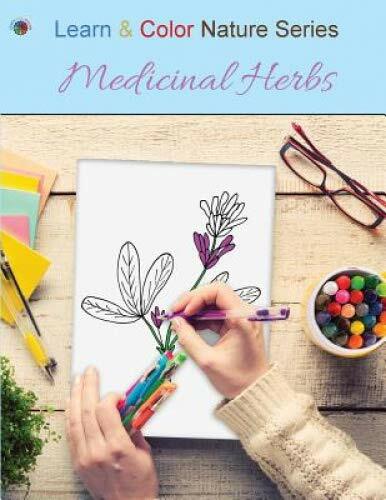 You can even cut out your coloring pages...and you'll still be left with a useful book for herb identification. The quality paper means you are free to use media of your choice - crayons, gel pens, colored pencils, oil pastels, etc. Coloring utilizes both hemispheres of the brain, right and left. When we are thinking about balance, color choices, applying colored pencil to paper, we are working on problem solving and fine motor skills...Imagine all the areas of retraining of the brain and skills training that can be accomplished with coloring.